You want me to share MY bed? But there’s plenty of room for company! 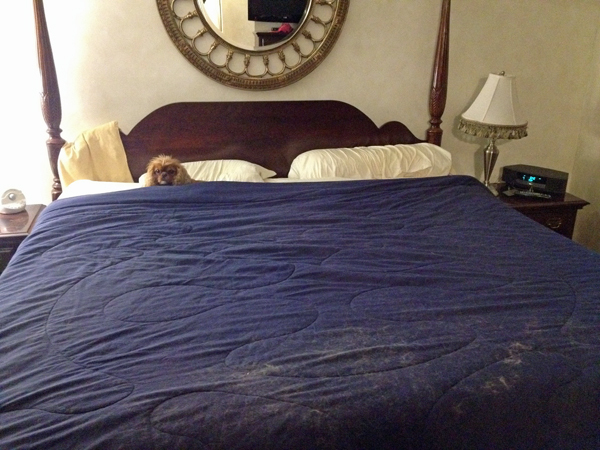 Clearly this bed is only big enough for one…. That’s so hilarious! My little dog also thinks the big bed belongs to her. She literally pushes me out of the way w/ her snout! Not sure how that happened. Hmmm..